The arts-and-crafts retailer Hobby Lobby has agreed to pay a $3 million fine for illegally smuggling thousands of ancient clay artifacts into the United States from Iraq, federal prosecutors said Wednesday. Under a civil complaint in the U.S. District Court for the Eastern District of New York, Hobby Lobby will forfeit thousands of cuneiform tablets, clay bullae and cylinder seals it falsely labeled as “samples” and shipped through the United Arab Emirates and Israel. The Oklahoma-based company brought more than 5,500 artifacts for $1.6 million in December 2010 from an unidentified dealer in an acquisition prosecutors said was “fraught with red flags.” Hobby Lobby got conflicting information about where the artifacts had been stored and never met or communicated with the dealer selling them, according to court documents. When it came time to pay, the company wired money to seven separate bank accounts. Before the sale, the complaint says, an expert on cultural property law warned Hobby Lobby that artifacts such as cuneiform tablets and cylinder seals may have been looted from archaeological sites. A United Arab Emirates-based dealer sent 10 packages to three different corporate addresses in Oklahoma City, with shipping labels reading “ceramic tiles” or “clay tiles (sample),” according to the complaint. U.S. Customs and Border Protection later intercepted five shipments, all of them falsely declaring that the artifacts came from Turkey. A final shipment containing about 1,000 clay bullae arrived at one of Hobby Lobby’s addresses from Israel in September 2011. That one also misrepresented the artifacts’ country of origin, according to the complaint. 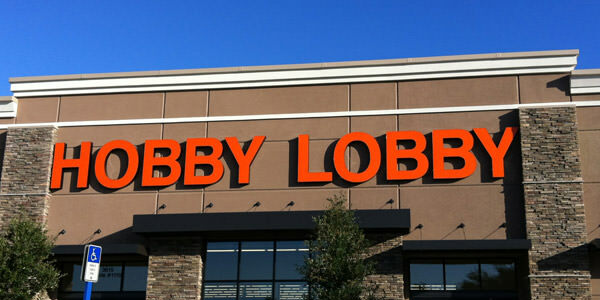 Hobby Lobby, whose owners are evangelical Christians, said it began collecting a “variety of Bibles and other artifacts” in 2009 with the goal of preserving them for future generations. In a statement on Wednesday, the company said it “did not fully appreciate the complexities of the acquisitions process” and relied on dealers who did not understand how to properly ship the items.